Sorry, too tired to type out all the names. Amazon tells me that I bought this over two years ago. Shame on me for taking so long to really sit down and listen! Sonata, please could you post the link again, this one doesn't work. Verdi Aida / Karajan with Tebaldi, Bergonzi, McNeill, etc. from 1959. It still sounds incredibly well, showing how far the DECCA engineers (headed by Culshaw) were ahead of their time. The singing is really wonderful and Karajan draws some miraculous sounds from the VPO. OK I know there are other ways of doing this opera but this is fabulous in bringing out the sheer beauty of Verdi's score. The dramatic stuff isn't half bad, either! just ordered the Kubelik Meistersinger. 1994 recording with Semyon Bychov conducting the Paris Orchestra, and singers Nuccia Focile and Dimitri Hvorostovsky. Here's the link, I don't know if it will work now. I like the ending to the opera. It's so typical for the characters in opera/film/etc to jump to their immediate passions. I like that Tatyana stays faithful to her marriage vows. I was just reading up on Aida last night. This recording is going into the Amazon wish list, for the future. Yes the link works, thank you. I've got this CD & agree it's a great recording of a great opera. 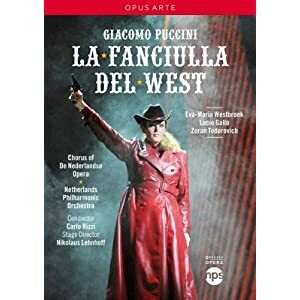 Still on La fanciulla del West, I'm trying to get a DVD performance, all I've found feature Domingo as Johnson, so Which one is better: Covent Garden (1983), La scala (1991) or Metropolitan opera (2005)? The only complete version I own is Corelli on CD. Of the three you have mentioned I would definitely recommend the 2005 Met one (it actually dates from much earlier). Barabara Daniels is the most convincing Minnie in my eyes, and Sherrill Milnes is a great Jack Rance. Domingo's interpretation has matured too. Just avoid the la Scala version, as Mara Zampieri sounds awful even though she acts the part gallantly. There is also this, a rather odd production involving disused car sets and a gay leather bar (love Minnie's pink trailer in the second act though). I like it but I suspect it would not be your cup of tea! Well, I think I'll go to get the 2005 MET. Thanks. You said it actually dates from much earlier, so when? Last edited by Il_Penseroso; Feb-22-2013 at 07:20. I'm on a Donizetti kick; I just finished "Lucia di Lammermoor" (Sutherland/Pavarotti); now I'm listening to "La fille du regiment", also with Sutherland and Pavarotti. Thought that would give you kittens! Thanks again 1992 (2005 DVD released) finally for me. Last edited by Il_Penseroso; Feb-22-2013 at 16:26. 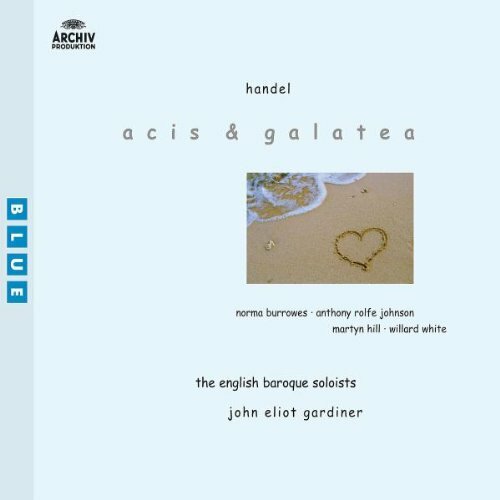 I'm a real fan of Gardiner and Anthony Rolfe Johnson is superb. All times are GMT +1. The current date and time is Apr-25-2019 12:07.